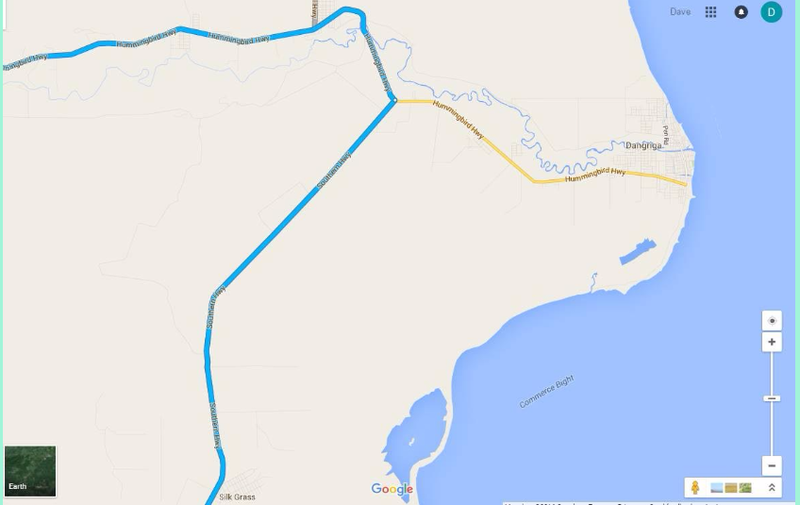 Pure Placencia: Driving directions from Belize City Airport (BZE) to Placencia, Belize! 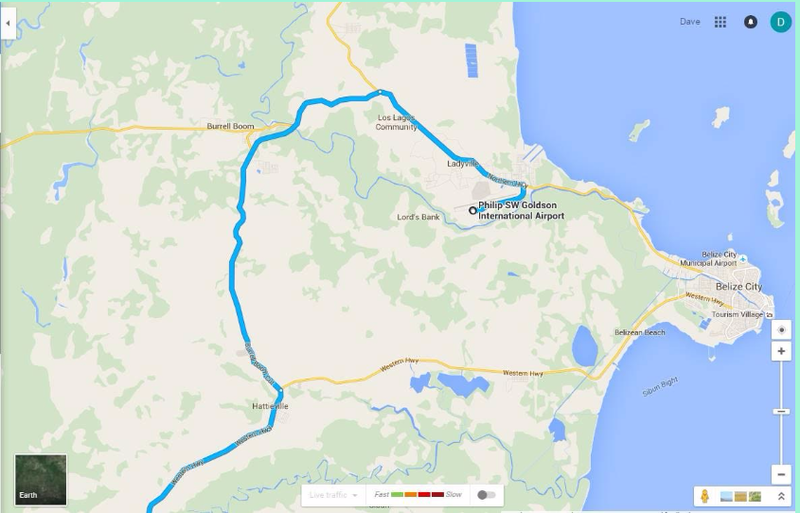 Driving directions from Belize City Airport (BZE) to Placencia, Belize! After a couple years of making the drive between Belize International and Placencia, and seeing the easy-to-make mistakes that are made in the drive, here are the simplest driving directions from the airport! This is a blend of the simplest/fastest/easiest way to drive from Goldson (the international airport) to Placencia - specifically Caribbean Beach Cabanas. It’s best if you print this entire post out and carry it with you. You will depart the airport and follow the “International Airport Road” – signs should say – to Belize City. 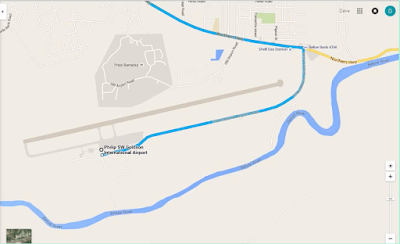 You’ll drive with the airplane runway on your left as you depart the airport. Next, you’ll turn left onto the “Northern Highway”. This is a little different (easier) than going through Belize City. It will probably add about 10 minutes to your drive, but will make the drive a lot easier to manage. You will proceed North for only about 10 minutes. You will make a left onto the “Burrell Boom Cut”. Burrell Boom is a town and this “cut” will take you around to the Western Highway. Follow the Burrell Boom Cut all of the way to the Western Highway, where you will make a right turn onto the Western Highway (this turn is in the area of Hattieville). Go West on the Western Highway. Follow the Western Highway past the Belize zoo all of the way to Belmopan and the Hummingbird Highway. You will now be on the Hummingbird Highway. This is by far the prettiest part of the drive. You will wind through hills and towns, up and over bluffs, and through the Mayan mountains. As you approach Dangriga, you will see a Shell Gas station on your right. The turn off of the Hummingbird Highway and onto the “Southern Highway” is just ahead. Turn Right onto the Southern Highway. You should see signs for “Punta Gorda” and/or “Placencia”. Follow the Southern Highway for about 35 minutes, and then you’ll approach a round-a-bout. Here, follow the signs to Placencia. It’s the “left turn” in the round-a-bout. You are now on the road to the Peninsula. There are no turns off of this road, just lots and lots of speed humps. The only “turn” that appears is a turn off to Riversdale. Don’t make that left, but rather stay on the road to Placencia. 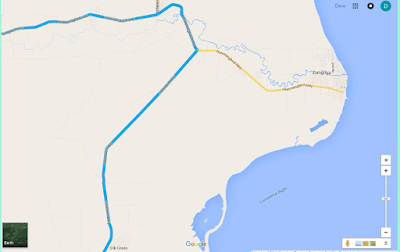 Follow the Peninsula Road all of the way through Seine Bight, past Roberts Grove, the Airstrip and into the Village. You’ll know you’ve arrived in the village when you see the water tower. Once at the water tower, continue straight over two speeds bumps (a total distance of about 500 yards) and make a left at our sign “Caribbean Beach Cabanas”. The road does not have a name, but you’ll see our sign (CBC) as well as Casa Palma and Heaven’s Gate’s signs. Pull right up to our welcome gate which is on the left as you pull to the sidewalk. You'll see signs for Sue and Carlos's office at the house in the back of the property. · The total drive can take from 3 ½ hours to 4 ½ hours. The speed humps, traffic and familiarity with turns and roads can greatly affect your drive. Be patient and enjoy the drive – it’s very pretty. · If you put the drive into Google Maps – as I have done – it will take you through the “Coastal highway”. This road is not paved and is treacherous. It can be done, but because it’s a dirt road, it will unlikely save you time or headaches. 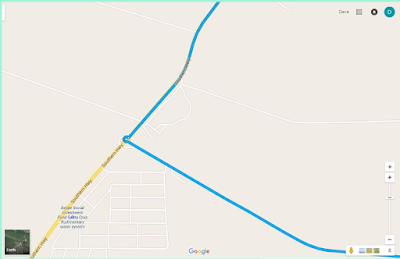 · I’ve used Google maps to provide some “map style” direction for you. However, Google’s turn by turn directions usually take you through the coastal and don't map it through the Western, to the Hummingbird to the Southern Highway. We highly recommend you follow these and not Google's, they are trying to find the shortest route, but dirt roads are just not fun. Finally, HERE is a more entertaining and informing post to read about the experience of driving in Belize! Same issues. Would love to see the pics! Thanks for the great info. We're about to make the drive this weekend. Thanks guys. I will download the pics again and reload on the site later today!